Not all bathroom vanity manufacturers are created equal. It is important to know which ones manufacture the best product. Go to the showrooms and check them out. Look, touch, and open vanities that you might be interested in. This is a great way to see the quality that goes into this product. Buyers will see that, you get what you pay for, holds true with bathroom cabinets. There are dozens of modern styles and sizes to choose from. If you are looking to buy, take your measurements with you. It could be a disaster to buy a vanity that does not fit the intended space properly. Manufacturers have taken the time to ensure that modern vanities have plenty of storage space. They must because most bathrooms need room for toiletries, hand towels, and sometimes, first aid kits. The size and style of vanity that you buy should be dictated by the bathroom where it will be installed. A small single bathroom will have different needs than a larger shared bathroom. Take these things into consideration before making any purchases. Make a list of items that the vanity must have like number of drawers and doors. This will help narrow down the options. Never settle for a bathroom vanity that is less than what you dream off. 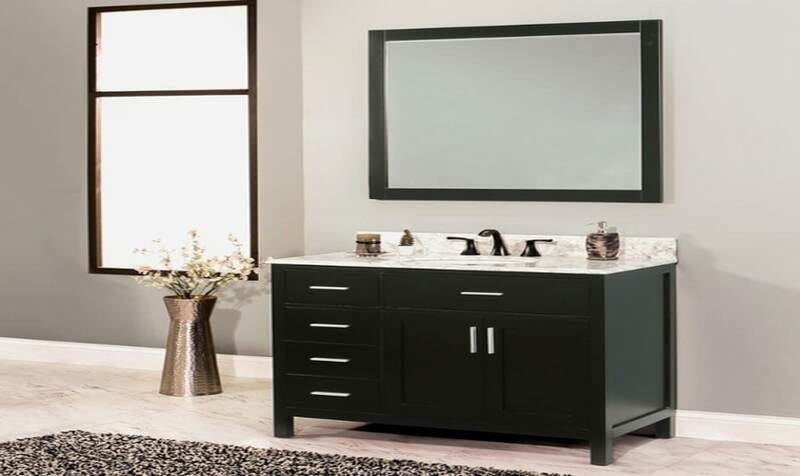 Bathroom vanity manufacturers have made plenty of styles to choose from so you are sure to find the one that you know is perfect for the space. The prices are right on point so don’t worry about over-spending. The bathroom vanity that you choose will be durable and last a long time. It will be in that bathroom for years so make sure it is one that will stand the test of time. Bathroom vanity manufacturers are all trying to get your business. Make sure that you buy the vanity that you love not the one that you see on TV. When doing home renovations or updates, it is important to get exactly what you need and want. Don’t settle for second best when there are so many lovely vanities to choose from. Good enough is not right for your bathroom. The vanity should be durable, functional, and beautiful. Most importantly, it should be what you envision for the room.